A: Kansashi is traditional hair decoration stick to complement ornate Kimono styling. 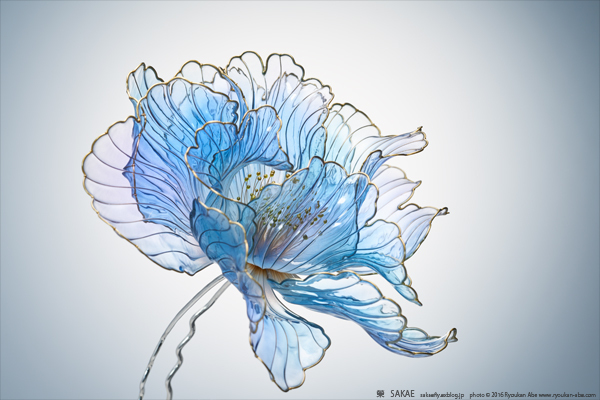 Q: What is different about Sakae's Kanzashi? A: With my Kanzashi, one can literally wear beams of light. It's like those images in one's dream where everything is shining from within. Also, it is more real than real flowers - as real as anyone can imagine. Everybody's imaginary beautiful flower is the source of my creativity. Q: What is it made of? A: It is made from wire and resin, commonly called "Dip flower". 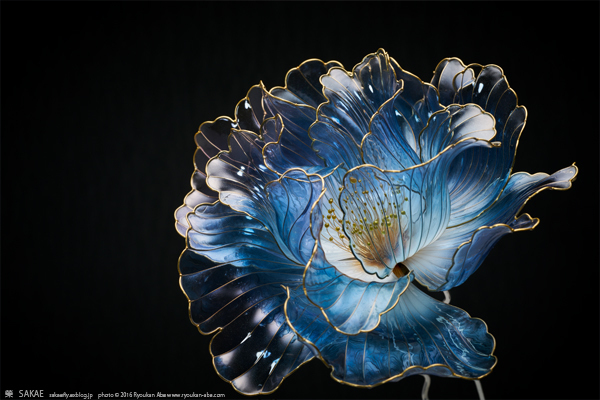 My Kanzashi elaborates on dip flower with original coloring methods. 2019年 桜 簪【 八雲 ..